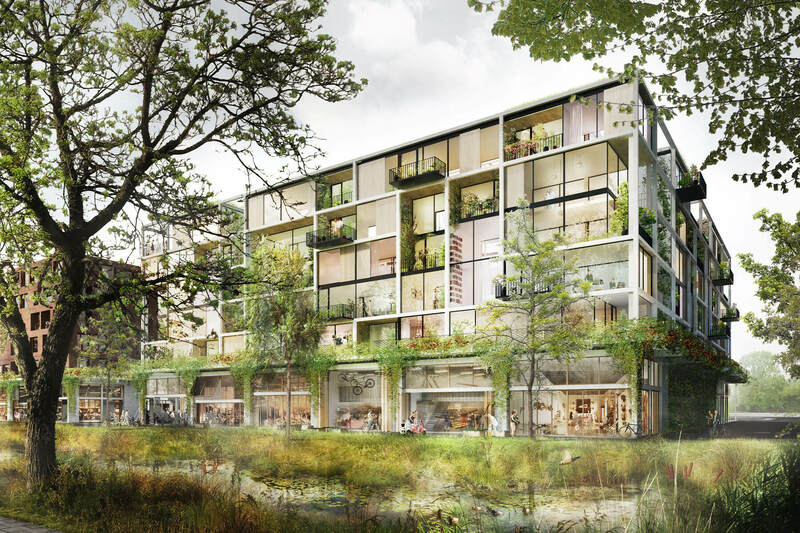 Hall-O creates a new sense of community in Overvecht with a focus on participation and healthy urban living. 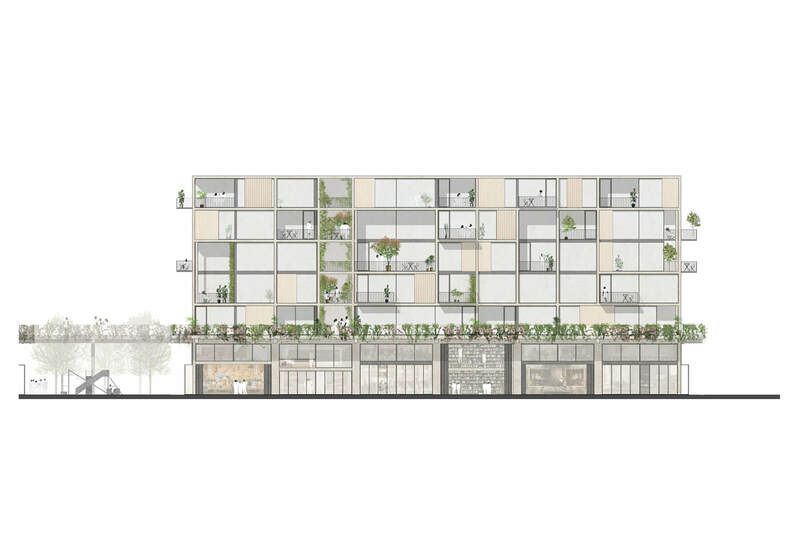 A 180-m-long ground floor plinth activates the neighbourhood with a market and flexible spaces for makers and local businesses. 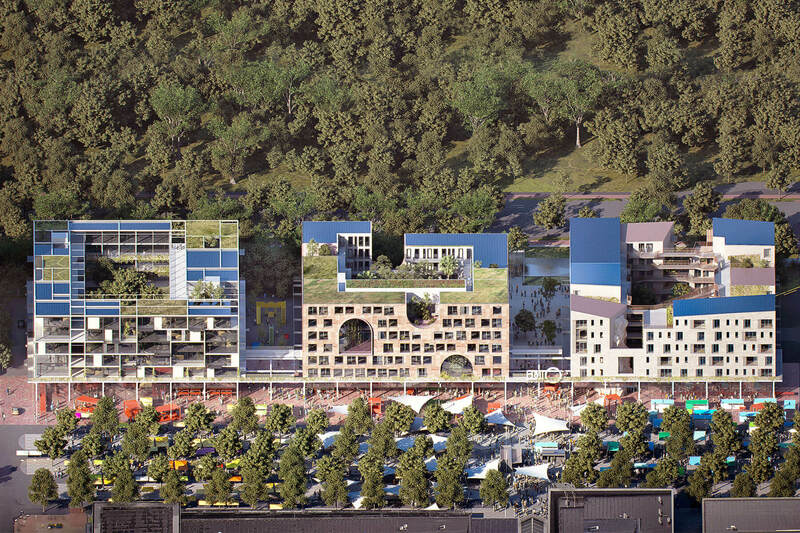 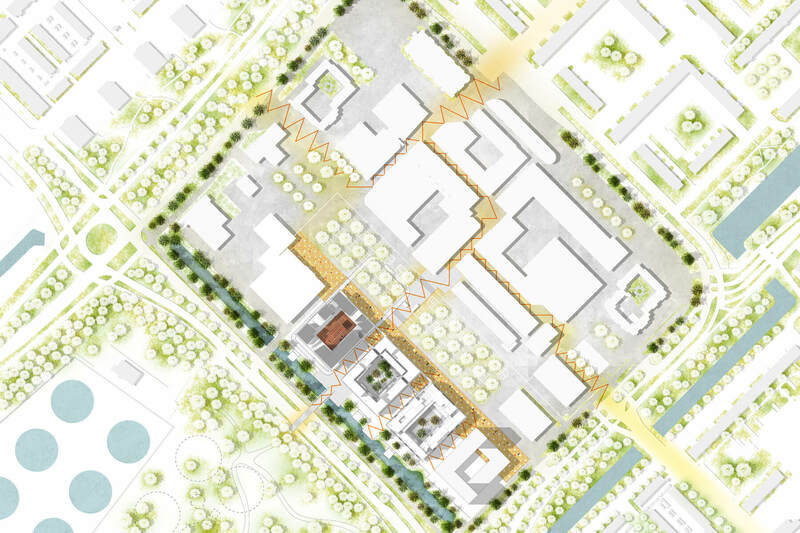 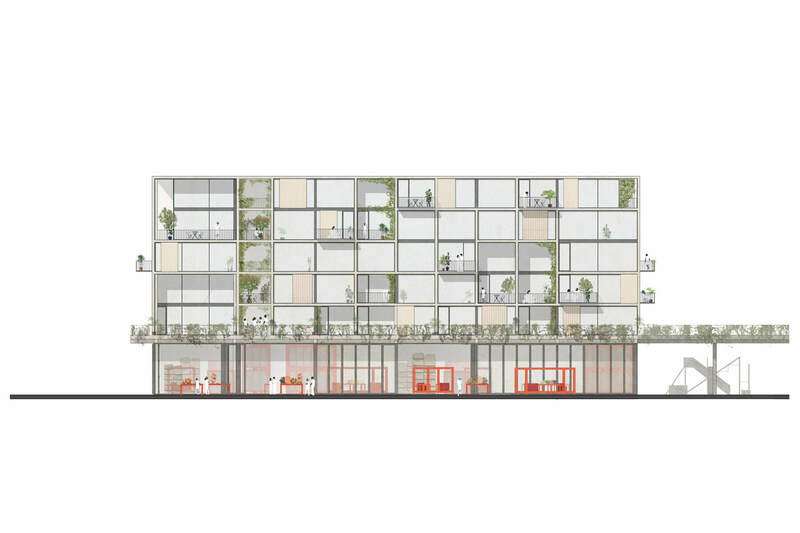 Above, a network of shared outdoor spaces, including an exercise route and urban farm, connects the three separate residential blocks (seniors/dependent, co-living and Superlofts), inviting the different residents to interact.